The City Council has asked that City Manager Tom Ambrosino use the next month to figure out some new parking strategies for the city instead of spending a hefty sum on a major Parking Study. Ambrosino said the Council had instructed him to put out a bid for a parking study late last year, but there was only one bidder on the project. That bid did not include the whole city and was more than $200,000. On Monday, the Council held a Committee meeting to discuss the next steps, steps that don’t include spending such a sum on a study. “The Council at the end of the meeting on Monday wanted to explore the idea of internal remediation before proceeding with an expensive outside study,” he said. 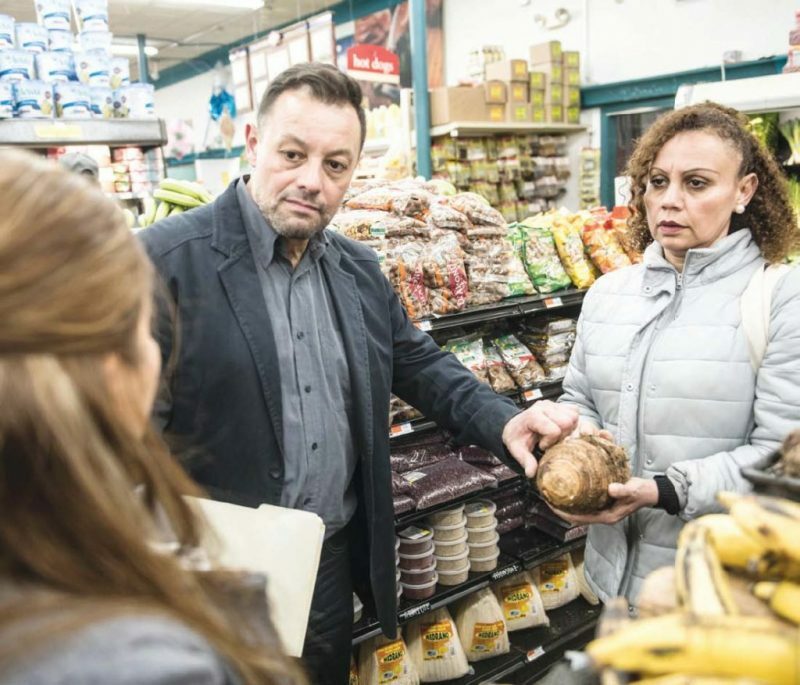 Ambrosino said he and his administration will spend the next month “brainstorming” some ideas and recommendations to help with the parking bottleneck in many areas of the City – including the neighborhoods. Ambrosino said they do see it as a problem in several aspects of the city. One solution he will not suggest is to reduce parking requirements for new development. While many might think that is counter to solving a parking problem, many planners now believe that one solution to reducing the numbers of cars is to build developments without parking. Bowen and his partner, Sandra Castillo, of ERA Russell Realty Group, will host an open house each Saturday and Sunday (12-2 p.m.) at Parker Place, which is already drawing significant interest among prospective buyers. (For more information about Parker Place Condominums, please email info@chelsearealestate.com). So much happens within every municipality that needs to be shared: upcoming events, new initiatives, important updates, celebrations of success. And there’s myriad ways in which each department of City Hall interfaces with the public in routine ways, from applications for parking permits to business licenses, to simple correspondence to the uniforms of Department of Public Work employees repairing the streets. Inherent in all of this communication is a message about how the municipality functions. Each represents an opportunity to say something about the City of Chelsea itself. 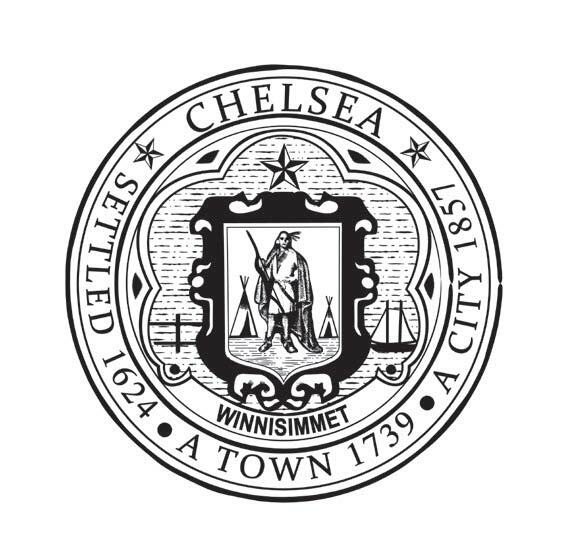 The new Chelsea City Seal features a more appropriate figure and a consistent design. To make the most of these opportunities, the City of Chelsea has just released a Style Guide that details the specific graphic style for all communications from the ten City Hall departments and nearly twenty boards and commissions. The goal of the effort is to establish a consistent brand identity that’s professional, clear, and attractive. The guide details typography, colors, photography and formatting that together create a distinctive look for City Hall’s print and digital materials. For administrative staff at City Hall, a suite of templates facilitate the quick creation of regularly needed materials within the established style. The refreshed documents include letterhead and envelopes, agendas and minutes, business cards and brochures, forms and flyers, reports and PowerPoint slide decks. The underlying goal of the project is that quality, consistent design will demonstrate a unified voice whenever expressed by an agent of Chelsea’s city offices. Quality design demonstrates competence and professionalism. Through a clear graphic identity the public will be able to better recognize services provided by municipal government. Over the past eight months, a team of City Hall staff representing a variety of departments worked with design consultant, Catherine Headen, to develop the guide. After reviews, working sessions and a special event with City Hall staff the completed Guide and templates are formally released this week. The unveiling of the new look with take place over time. City staff will continue to use the print materials already on hand but will use the new templates for all their future materials. The new style is intended for the main City Hall departments and doesn’t extend to the City’s Police and Fire departments or to the schools. Dr. Fatima Maarouf is approaching the second anniversary of her growing dental practice, Harborside Dental, 313 Main Street. Two years ago Dr. Maarouf made a major decision in her career to acquire the practice of long-time Winthrop dentist, Dr. Richard Schwartz, who had served the community for four decades. “Dr. Schwartz retired and I took over the practice,” said Dr. Maarouf proudly. “I think of Winthrop as a beach town and I love the beach and being around Winthrop, so we decided Harborside is a good, calming name,” she revealed. Dr. Maarouf has made an investment in the town and its future. 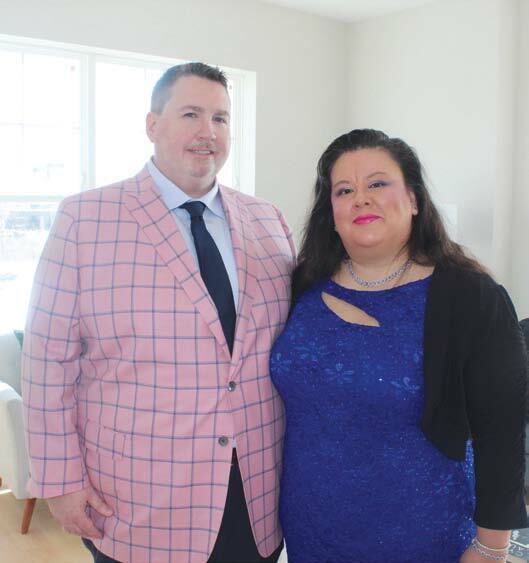 She and her husband, Hugo Solis, who works as an attorney for the BPDA and as a real estate agent for the Winthrop office of Coldwell Banker, moved from East Boston to Winthrop a year ago. Harborside Dental is a member of the Chamber of Commerce and she and her husband are members of the Cottage Park Yacht Club. Harborside’s dental assistant, Mirjeta Gjinovici, and treatment coordinator, Lindsey Robinson, also call Winthrop their home. There have been some noticeable changes made in the dental office in the past two years. Dr. Maarouf renovated the entire office, installing new dental chairs, computers, software and other state-of-the-art equipment. Dr. Maarouf, 33, grew up in Lebanon where she attended American University of Beirut and received her degree in Biology in 2007. She graduated from the Virginia Commonwealth University School of Dentistry in Richmond in 2011. She moved to Boston in 2012 and completed her residency program at Tufts University, performing adult special needs dental care and hospital-based dental care. “I ended up loving Boston and staying in the area,” said Dr. Maarouf. She became an associate dentist at offices in the Boston area, but had dreamed of having her own practice. Dr. Maarouf performs dentistry for patients of all ages, as early as age one to those in their senior years. Dr. Maarouf recommends preventative care for all patients and suggests regular checkups every six months. Dr. Maarouf tries to accommodate her many patients’ work and activity schedules with expanded office hours (8 a.m.- 7 p.m. on some days and is open one Saturday a month). Dr. Maarouf said the decision to open her own practice was a tough one, but she is pleased with the reception in Winthrop and excited about her future here. “There are challenges that you don’t anticipate and you’re responsible for everything, good and bad, so there’s a lot that is put on your shoulders – but when you’re trying to create something that you love, it makes it all worth it at the end of the day,” Dr. Maarouf concluded.